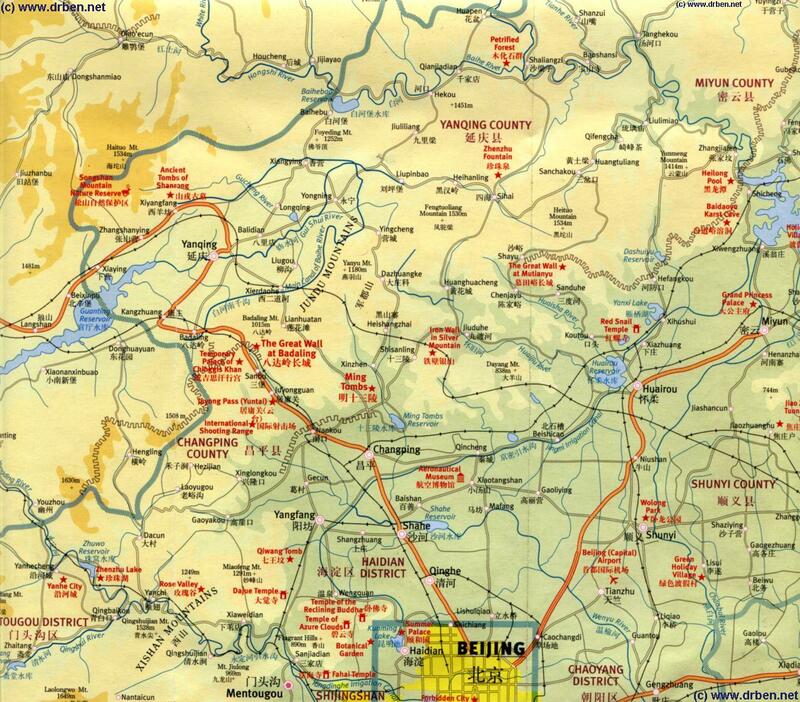 This Beijing Municpality Map includes almost the entire Northern Half of the Municipality plus some areas outside it ( thick grey-blue line ) which are part of Hebei Province. All Major Ancient Monuments and Landmarks reports included. Follow the Links and click through to find more information, directions and photo's where available.